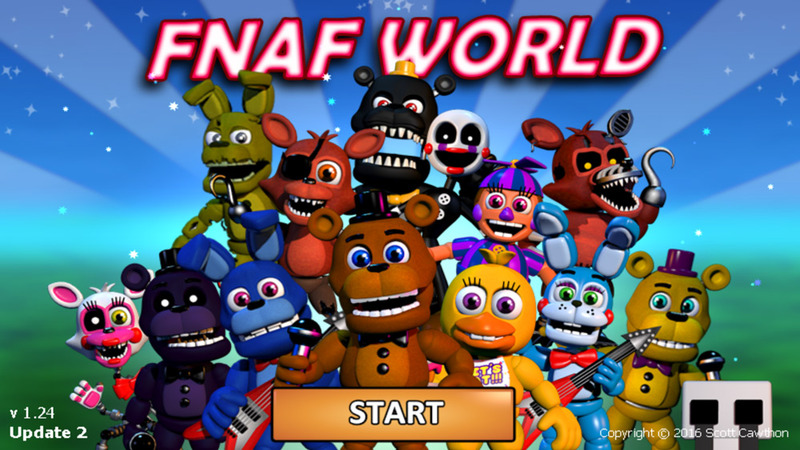 "A great looking RPG game featuring your favorite characters from Five Nights at Freddie's." 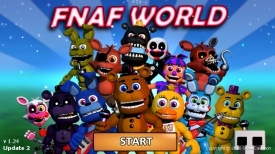 FNaF World is an RPG game which features all your favorite animatronics come to life from the now classic game Five Nights at Freddie’s but where five night’s is full of horror and jump scares this game is all about exploring this gloriously colorful world and meeting and interacting with other familiar and not so familiar characters the game also has an element of Pokemon about it where you can suddenly be called in to battle at any time, but not to fear you have the backing of all your favorite animatronics who all have their own special skills which you can use in the battles but pick wisely which you do use as some inflict more damage than others and some of your opponents can be very difficult to overcome, although some characters are more useful than others for example the pizza wheel action by Freddie tends to inflict a good amount of damage on your opponent but nearly all of Chica’s special moves inflict barely any damage although she does seem to be able to increase the health of her and her friends. 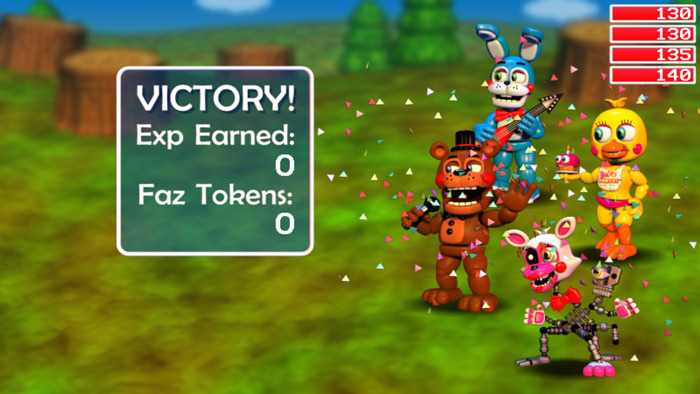 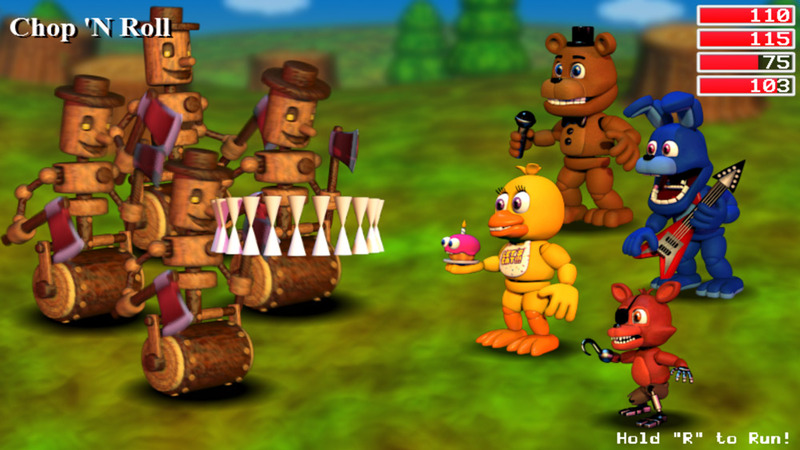 FNaF World is a fantastic looking game and it’s nice to be able to play as these characters rather than cowering in fear from them stuck in the office of a restaurant, combining everyone’s favorite nightmarish characters (although in this scenario they seem a lot more friendly) and an RPG game that is a lot of fun and addictive was a genius idea and although it’s not in the horror genre like the games it takes its characters from its definitely worth playing if you are a fan of the original or not. 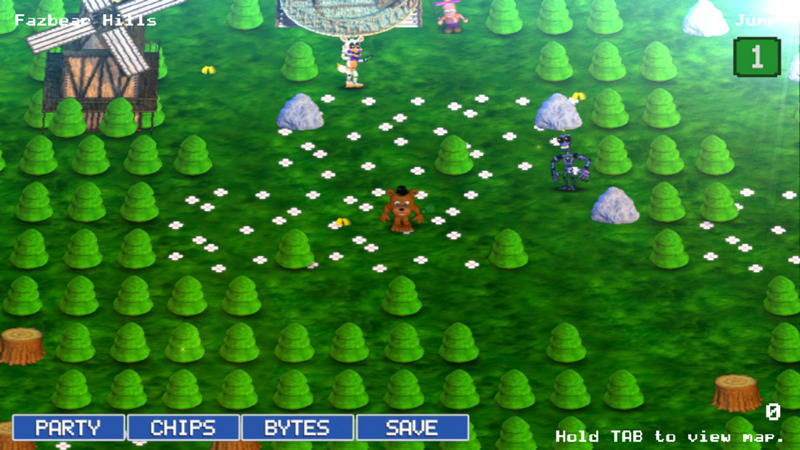 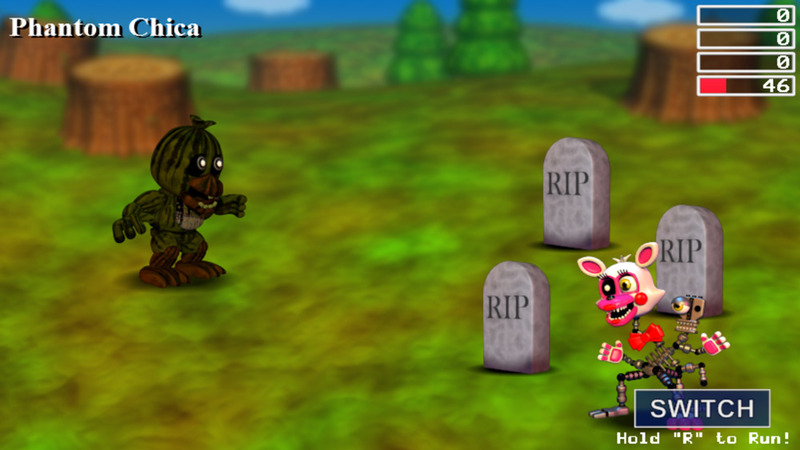 You can download FNaF world here for free.